Why a guide to help identify the best electric scooters? With the explosion of last mile transportation companies (i.e Bird and Lime) in the United States, more people than ever are aware of the benefits electric scooters provide. Traditionally someone who uses public transit would be forced to walk or hail a cab to complete the final leg of their journey. However, with the availability of an electric scooter for hire, all one has to do is scan a barcode on their phone and they are off! Because electric scooters are relatively new in the market no one knows which scooters are good and which ones are pure junk. So we created this guide to help you make an educated decision when purchasing your very own electric scoot. We will go through many of the questions people ask in regards to the electric scooter scene and we will also consider the 13 best scooter products on the market today. Don’t fret as we will continue to update this piece on a monthly basis to make the information is always relevant and timely. Just as we alluded in the opening of this article electric scooters are valuable transportation vehicles. They are convenient, easy to operate, efficient, and relatively inexpensive considering the value received. Think about the cost of rideshare for a moderate commute of 10 miles one can expect to pay around $13 to $15 dollars even in the oh so inconvenient “pool” option. Now compare that to taking public transit for $4 to $7 then adding in a 10-minute scenic scooter ride. Doing the simple math that is only around an $8 difference but that math works going 1 way. So multiply that by 2 then by 5 for a week’s worth of travel (which is how often the average person travels to work). This leaves us with the grand total of savings of $80 per week using an electric scooter versus Uber or Lyft Pool services. But is that enough savings to justify buying a scooter? 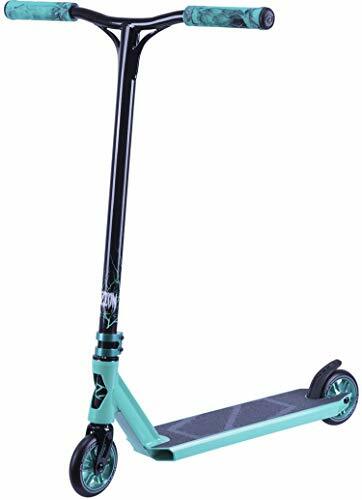 The second scooter in our “Top Picks List” is only around $400. 400 divided by 80 is equal to 5, so that means in 5 weeks your scooter would be paid for. Not to mention the scooter will surely provide an additional way to make trips on the weekends too! Just think you could go on “unique dates” with your dream girl holding on to you as you glide through beautiful scenery, beats the movies any day of the week! How much are electric scooters for adults? “Only $1 to Start” is an appealing offer but even that cash adds up multiplied by 5 weeks after week. So the question comes up is it time to buy your own personal electric scooter? You’re the only one that can answer that question but we will help you weigh the pros and cons of electric scooter ownership and if it makes sense to bite the bullet on one of these convenient energy-efficient vehicles. Prices on scooters range quite a bit depending on the scooter you decide to buy but that doesn’t mean you need to spend an arm and a leg on your scooter. The lowest priced scooters don’t always equate to the best buy. Everything depends on the value, that is what you get for the money. Just because one scooter cost $200 and another one cost $500 don’t jump toward the lower priced one if you can afford the nicer one. There is an old saying “You get what you pay for” and when buying electronics especially one you’ll rely on for transport you don’t want to not get what you didn’t pay for and be left stranded. Here are our top electric scooter picks in order from best to our least favorites. Rank system is based on prices, value, durability, quality, battery life, and versatility. 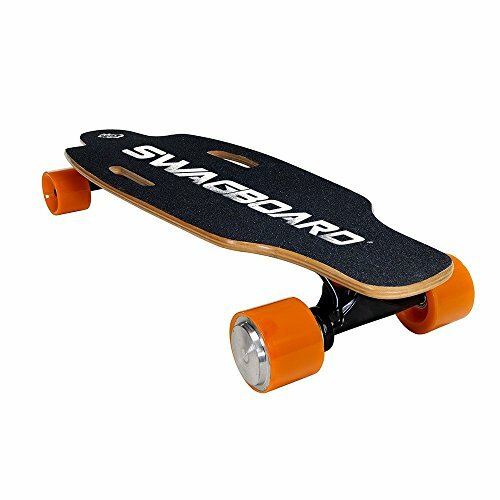 Enjoy these scooter reviews and if you have any question feel free to reach out to us! The electric scooter for adults by GoTrax is a standout in the market, this scooter, in particular, has gotten rave reviews from consumers. What we like about it is the combination of all of its features. While the GoTrax scooter isn’t the best in any specific area it does have stellar performance on all levels. For example, its weight isn’t the lowest in the segment but it does have a tolerable weight at around 25 lbs. Top speed on the GoTrax is 15.5 mph which is more than enough speed but it isn’t the fastest scooter by any means. This performance is middle of the pack of all the scooters we cover. Pneumatic tires are a primary feature of any good electric scooter as they help prevent vibration from bumpy terrain. 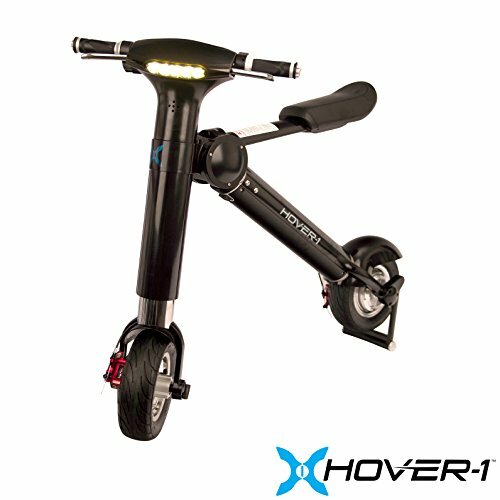 Another feature of the GoTrax scooter is it’s gearing system, while most scooters are single geared this particular model has 2 gears one for a steady 10mph cruising speed but kick it into 2nd gear to reach top speed of 15 mph. Overall we love this scooter and put it at the top of our best of list. No other scooter combines power, comfort, and versatility of the GoTrax for sub $500. This electric scooter is an extremely safe buy! Make sure you opt in for a second charger to charge your scooter at home and at the office. Glion’s foldable dolly system scooter has been on the market for a few years now and is still a great performer. In fact, the only reason that it isn’t topping our list is due to the lack of upgrades since this scooter was released. In regards to power, the Glion has 600 watts of power and a top speed of 15mph, equal power to any other scooter on this list. Battery life is such an important area to consider when it comes to electric scooters because with no battery life you’re not going anywhere. In fact battery life is an area the Glion outperforms the #1 electric scooter on our list the GoTrax, Glion delivers an additional 3 miles on average per charge in comparison. Weight for the Glion is pretty standard it weighs in at 27lbs slightly heavier than some of the other scooters reviewed. One unique selling point that Glion has relied on is the “dolly system” where a rider can fold the scooter down and roll it instead of worrying of carrying it. In a nutshell, the Glion scooter was an amazing scooter 3 years ago but due to the lack of upgrades its only average in 2018. 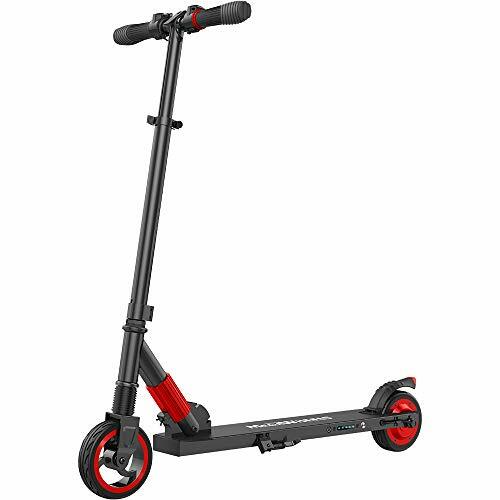 Overall though buying the Glion electric scooter is still a great choice but with the $629.99 price tag, your money could be better used towards the GoTrax. 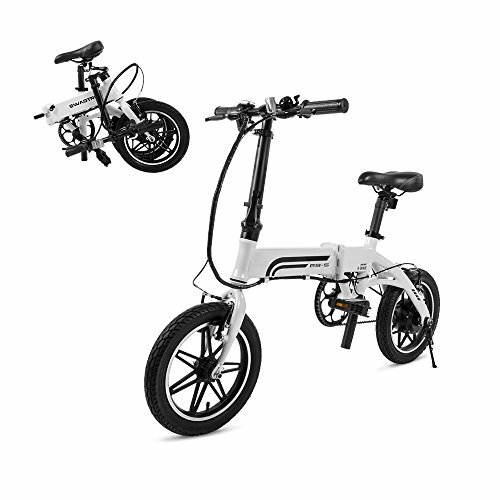 STORES EASILY - The Swagger scooter folds down in a few simple clicks for easy transportation and storage when not in use. EASILY CHECK BATTERY LIFE - The control panel allows you to view your motor scooters speed and battery life. ECO-FRIENDLY - The eco-friendly Swagger is 100% electric and produces zero emissions, saving your wallet and the environment. Next up on the list is the Swagger electric scooter by Swagtron, when this scooter hit the market it was on FIRE. Never had an electric scooter been so easily attainable by any and everyone. When first arriving in 2016 the Swagger was at an industry low of $500, this was major at a time when the average price was $900 and up. With such a popular product Swagtron initially had a hard time keeping up with demand and product support. Many customers have had problems getting in contact with Swagtron for customer support and spare parts. One person who we got intel from even claimed that “if something breaks it will stay broken”. Goes to prove our point of VALUE when looking for scooters not only the initial purchase price. Today in 2018 Sawgtron has upped their game and improved the product. However, it does seem that they are interested in a lot of products these days than their electric scooter. It’s important to know that the price point for this scooter has increased, we believe this is to cover the increased quality and after purchase support of the scooter. At the end of the day, this scooter has good power, decent battery life but it is the Lightest electric scooter on our list weighing in at only 17 lbs. 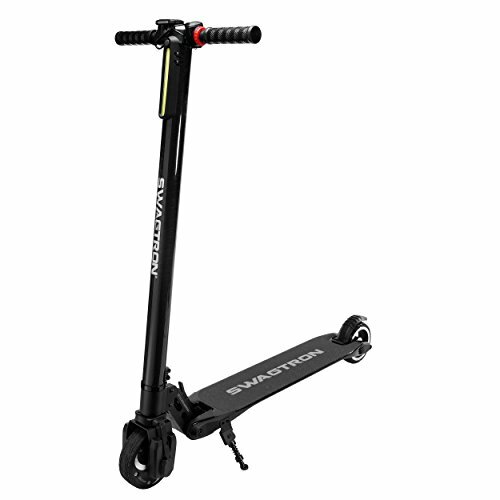 For someone looking for something versatile, the Swagtron scooter might be the one for you with its solid performance and ultra-low curb weight. 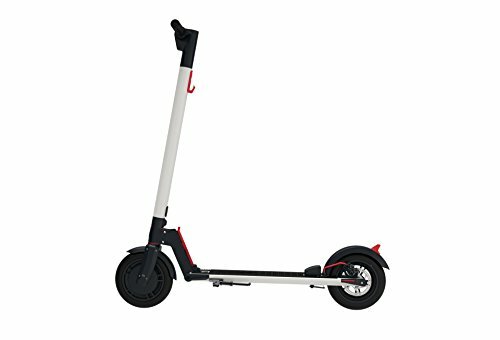 How much are Bird Electric Scooters? 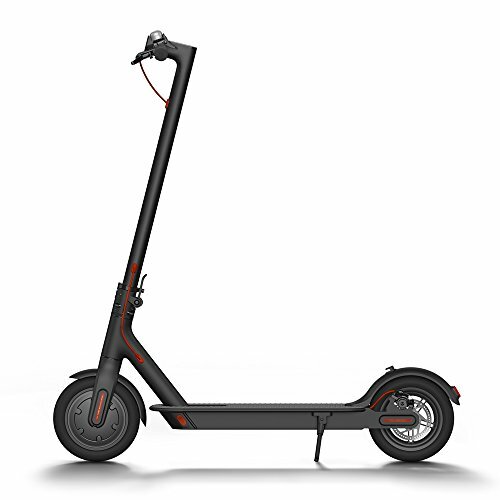 The GoTrax electric scooter is actually Bird Scooter's unit that you can buy for your own personal use. 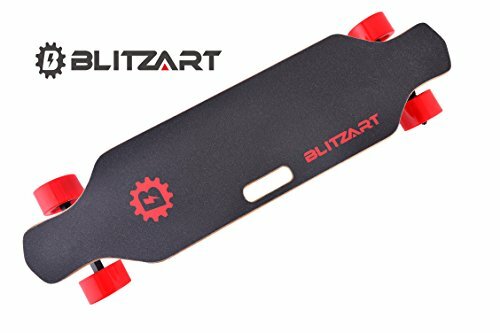 Not only are these scooters durable but they are fast and have good battery life. Bird Scooters seem to be on the corner of every developed city and people love them. The Bird is like the cool scooter to ride not a lot of logos or promotion just good performance and a sleek straight to business look. Frankly, people are tired of having to rent them every day. How much does it cost to own your very own Bird Scooter? Well since Bird doesn’t sell them direct to the consumer you need to find the factory that sells them to Bird. Finding the legit factory might involve going to China and asking a lot of questions. So to avoid plane tickets and visas you can benefit from our investigative work. After looking through the various scooters available from top to bottom it turns out that the GoTrax electric scooter is actually the Bird scooter with different branding! So basically you’ll get the same performance, same battery life, the same everything with no rental fees every just your very own Bird Scooter that caters to you, no more coming outside and having someone else ride off on your scooter. The MegaWheels electric scooter boasts efficiency, power, and versatility. But how does this scooter really measure up to these lofty claims? From our tests, this is a solid little scooter. While it claims top speeds of 14mph we managed to only reach about 12 mph. This isn’t a bad thing because our test subject was 6’2″ and weighs about 206 lbs. A smaller person around 170 lbs would probably be able to reach the top speed. In the actual product, overview MegaWheels suggests this scooter for riders under 150 lbs. So that means the scooter outperformed its claims. 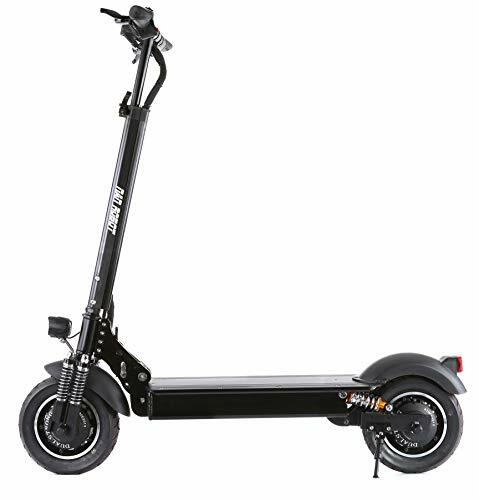 Another attractive feature of this electric scooter is its price tag at only 299.99 $229.99 this is a steal. Battery life is an area for some concern though, the manufacturer’s suggestion the scooter is capable of 5-8 miles of run time for a 150 lb rider. Anyone who weighs in a little heavier is going to dramatically lower the trip length. On the bright side though this scooter weighs less than 20 lbs, so for portability and travel you really can’t beat the MegaWheels Electric Scooter. Just make sure you buy the optional warranty! The battery life of this scooter is INCREDIBLE with average milles per charge at 40 miles. While these stats are unmatched the weight of this scooter kind of negates its battery life. If you are a smaller person do not even consider this scooter as it weighs 70lbs. Buying an electric scooter you need to know exactly what your needs for that scooter are going to be. How far is your last mile commute? What is the terrain like? Knowing the answers to these questions will help you make the most educated decision when deciding which scooter to buy. Ultimately you’ll want your scooter to meet your needs! So how far do scooters go? There is no cut and dry answer because someone lighter is going to be propelled on the scooter faster and further. Due to this fact, we will speak in averages. On average most scooters will get you 12 to 15 miles per full charge if you have a daily commute that is greater than these numbers you’ll want to purchase an extra charger to keep at your place of employment. Doing so will allow you to charge up in between rides. If your only concern is how far your scooter can go on one charge and no other factor really matters. Then the NANROBOT D4 might be for you. This scooter is massive and heavy but they are good for 40 miles per charge! However, it’s important before you run off and get one to realize that these bad boys weigh in at 70 lbs! When were electric scooters invented? How do electric scooters charge? Electric scooter charge relatively simply. All you have to do is plug your charger into a compatible wall outlet. After that just find your scooters charging port and plug the male end into the female charging port. Typically every charger will have a light indicator system on the charger itself that will change from “Red” which usually means charging to a “Green” or “Blue” meaning fully charged. Do you have to register electric scooters? Currently, there are no states that require electric scooters to be registered. However, with the popularity increase in the industry, we wouldn’t be shocked if states started to cash in on the market by requiring plates, registration, and other taxes. Where are electric scooters legal? Just to confirm New York state has a banned status on electric scooters. Other cities like San Francisco may temporarily ban rental electric scooters due to some of the foul things people have been doing to them including rubbing them down with poop, burying them in the sand, burning them, and hanging them on telephone poles. How fast are electric scooters? Most electric scooters will reach speeds of 15 mph. 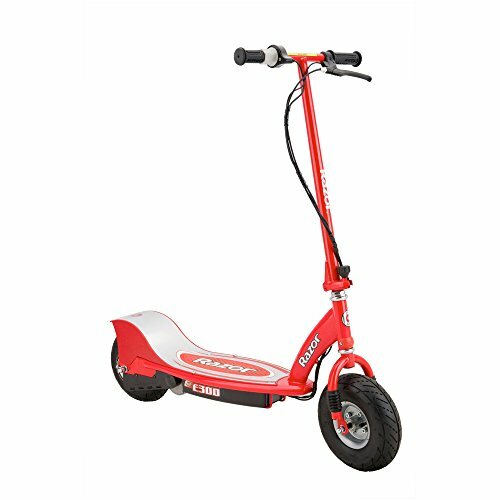 There are some larger less versatile scooters that are HEAVY that will reach higher speeds up to 40 mph. But for last mile commute, no one wants to lug around a Giant 40lbs behemoth. What stores have electric scooters? Right now more and more electric bike shops are carrying electric scooters. Their expertise in electronics makes for good places to buy them too. Most electric bike stores will have a service department to help you maintain your scooter for the duration of your ownership. Finding a bike shop who fixes electric scooters is great because having to ship scooters back and forth for service can be a headache. Speed is relative to power and weight, but let’s face it more power is equal to more speed! Here are the fastest electric scooters out there. Not 100% convinced on buying a scooter? Then a Scoot Bike might be a solid option for you! Scoot E-Bikes aren’t exactly scooters but they do reach speeds of 20 mph easily, something the traditional scooters on this list have a hard time doing. While these Scooter/Bikes do fold they aren’t as versatile as some of the other scooters we reviewed. The Razor E300 barely makes the list because this isn’t really a good option for an adult looking for a last mile scooter. However, if you are looking for something more light-hearted to go for cruises on the weekends then the E300 could work for you. Your kids will absolutely love this scooter though. 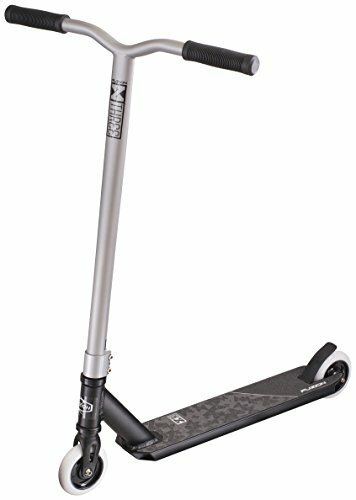 Price wise this scooter is cheap at only $259.99 but you would be way better off using your funds on the MegaWheels electric scooter, a true adult electric scooter. 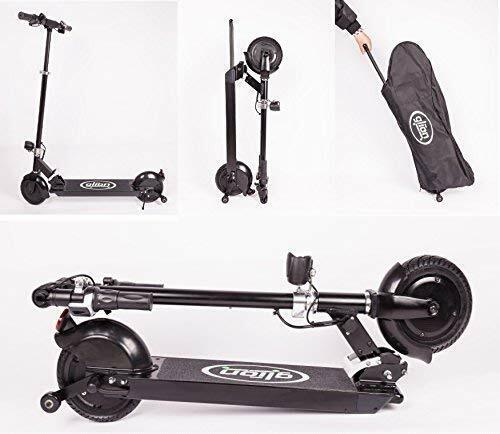 Reputable Brands who makes electric scooters are Glion, GoTrax, Swagtron, and Razor. Be careful not to buy no-name Chinese brands who might not offer any warranties or support post-purchase. Hopefully, this guide helped you gain some extra insight into the electric scooter market before taking the plunge and buying your very own scooter.